If you’ve never heard the Front Bottoms’ 2011 self-titled debut, then you might see this, their sophomore album, as a pretty unique blend of borderline-spoken word poetry, acoustic guitar, and beating drums. When this album was leaked by the band, however, the reaction was tepid. 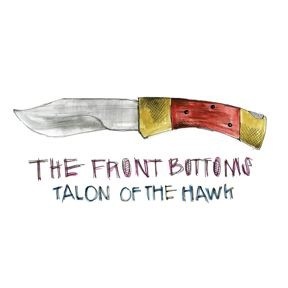 “The Front Bottoms” is one of my favorite albums, probably in my top five of all-time. A lot of my friends and I love this band dearly (I’ve even made friends because of mutual love for this band). On the opening chords of “Au Revoir,” a letdown was already starting. Bands often have their sophomore albums suffer from a bland rehashing of their debuts, and the Front Bottoms are no different. The band – a duo in the studio – created a wholly original type of music on their first album, which is continued here. I can only call it “alt-emo folk-pop.” Their songs rarely feature anything more than acoustic guitar, drums and vocals that are barely sung, yet the band has a taste for making their music seem like it is always about to fly off the rails; like the musicians are about to lose control of their own song (For the best example, look up “The Beers,” their fastest and best song). The lyrics jump from sad poetry to non-described personal experiences frequently, even mid-line. And the poetic lines are often poignant, even ‘cutesy,’ still hitting the listener in the gut harder than they should.